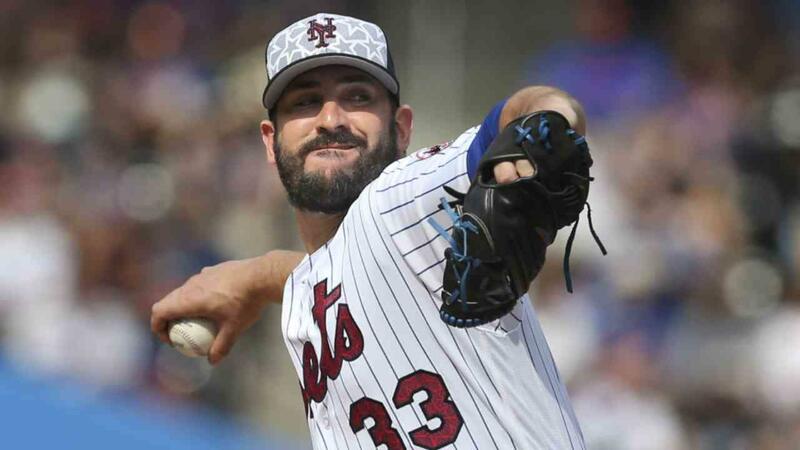 New York Mets starter Matt Harvey has been placed on the 15-day disabled list with what the New York Mets are terming "shoulder discomfort." Harvey is coming off one of his career-worst outings, giving up 11 hits. The Mets also announced that Harvey would be heading to St. Louis to consult with Dr. Robert Thompson. Harvey is almost three years post-Tommy John surgery. He had the surgery in October of 2013. Having shoulder issues after elbow surgery is not uncommon, but it's a bad sign. There's always a weak link to the kinetic chain, so if the force of the pitching motion isn't being efficiently dealt with, the now-healthy and strong elbow is usually strong enough to hold up, making something else, often the shoulder, that weak link. It does normally happen much quicker than what we're seeing in this case. Harvey was famously held back last season, his innings and outings limited in accordance with a pre-season plan formulated by Harvey's agent, Scott Boras, his surgeon, Dr. James Andrews, and the Mets. He went beyond it in pitching all the way into the World Series, but there's no indication that this was a problem for Harvey. He had a full off-season and while he's had a poor (for him) campaign, he's shown velocity, command, and stuff, though not consistently. The Mets are already dealing with two pitchers reportedly pitching through bone spurs or chips in their pitching elbow. Noah Syndergaard and Steven Matz are both pitching relatively well through the situation, but both could have problems at any point. Harvey missing time will further tax both the Mets' rotation and their bullpen. For now, the Mets will bring up Seth Lugo to take Harvey's roster spot, but he had a 6.55 ERA at Triple-A Las Vegas. Rafael Montero is the next regarded prospect, but he's also had a poor first half. The Mets (and Mets fans) will now wait for the results of Harvey's visit to Dr. Thompson, which should come quickly. Surgery for TOS would cost Harvey the season and put the start of 2017 into question, so the Mets have to be hoping that this is something that is more easily correctible. Given Harvey's problems with blood clots, though in a far different location, this has to be ruled out first.